The Quad Cities has joined a statewide effort in Iowa to promote car pooling. The Bi-State Regional Commission and public transit agencies have launched QC Rideshare as part of the Iowa transportation department's Rideshare program. East Moline is reminding its residents about the dangers of lead in drinking water. 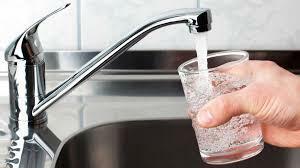 That follows test results showing more than 10 per cent of the homes checked this year had elevated levels in their water. "You Come Upon a Door"